The day I made my first game is still fresh in my memory. I think most programmers have a memory like this: The day you realise that you can control what a computer does. 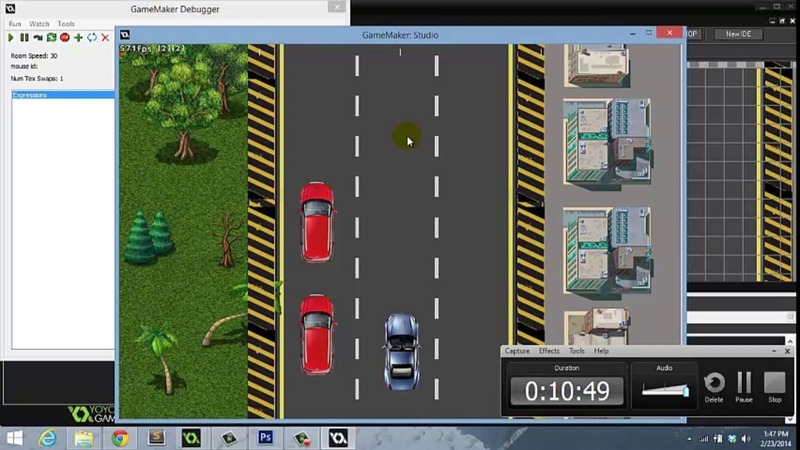 I was 12 years old and had just found a program on the internet called "Game Maker". I opened one of the program's demos: A simple racing game with a little red racing car. As I looked through the code of the game, I found a line that read: "speed = 2". I changed the code to "speed = 4" and suddenly the racing car drove twice as fast. It was pure magic. In the next few days, I spent all my leisure time (you have a lot of leisure time when you're 12) changing different code blocks of the game. In the end, it was unrecognisable: The racing car had been exchanged for a tank that fired a continuous stream of missiles, what was simple road blocks before was now fire breathing dragons. The imagination of a 12 year old boys had come to life on a computer screen. The game played horribly, but that's not the point. I was the beginning of what I'm sure will be a life-long hobby and career.